Photo of Yoder Farm's Isaac taken aged 20 months. 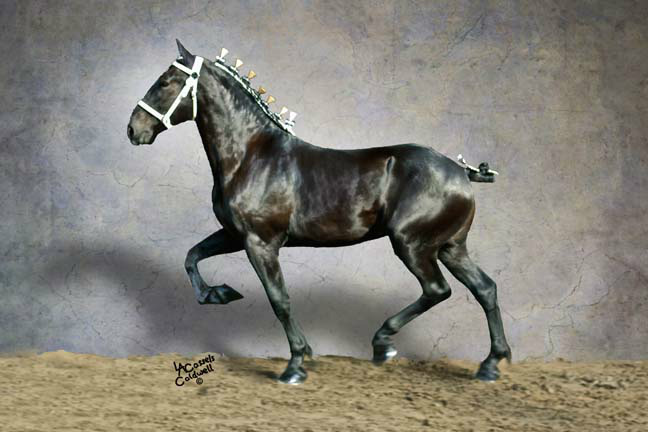 2010 World Percheron Congress 2nd place getter in the Yearling stallion class. 3rd MI Great Lakes Int. YODER FARM'S ISAAC's first crop of foals are due later this year. The above photo was taken when he was 20 months of age. Hello, we carry harness that is suitable for a Clydesdale and show carts in stovk. Please contact us closer to when you want to purchase the harness. hi, I am currently just looking. But will be wanting to buy a harness for a Clydesdale that will be used in a show cart. please forward your email address. Please forward me your email address.